Thanks to large technology centres in Pune and Mumbai, Maharashtra has the highest number of jobs in the robotics sector in the country, a study by jobs portal Indeed shows. Karnataka, which is home to India’s Silicon Valley Bengaluru, and Telangana, which will soon set up a technology hub in Hyderabad, are ranked at number two and three, respectively, by the study. 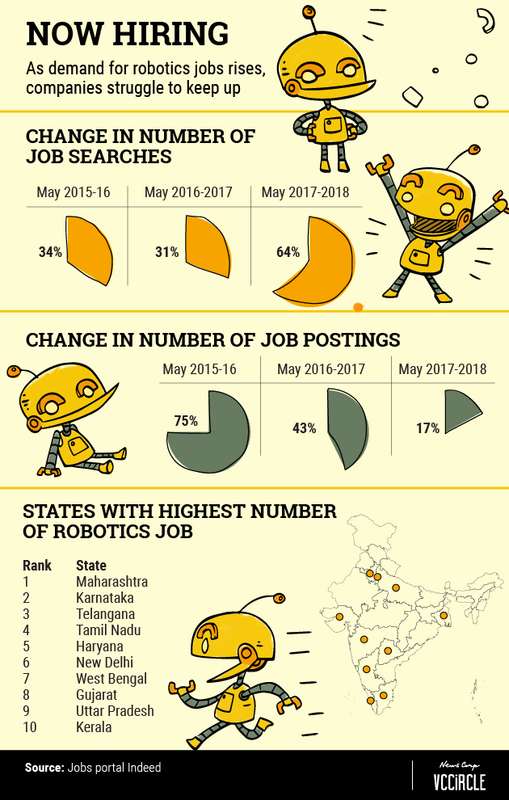 Between May 2015 and May 2018, while the number of people seeking robotics jobs in India grew exponentially by 186%, jobs postings dropped. For the study, Indeed measured the change in job searches and postings in percentages rather than absolute numbers. The data suggests a demand and supply gap for robotics jobs: though the number of job seekers has increased, firms are not able to cater to the demand. Following the government’s investment of $13 billion in the robotics segment under the Make in India initiative, jobs postings in the sector rose 75% in 2015, but since then, it has dropped considerably over the years, the study said. Surgery is one of the most lucrative sectors for robotics, given the potential for wide applications. The sector is expected to expand at an estimated compounded annual growth rate (CAGR) of 20% between 2017 and 2025 in the country, surpassing the global rate of 12%, the report found. Construction is another industry that is set to be disrupted with robotics, thanks to the government’s initiatives of Make in India and Digital India, said the study. 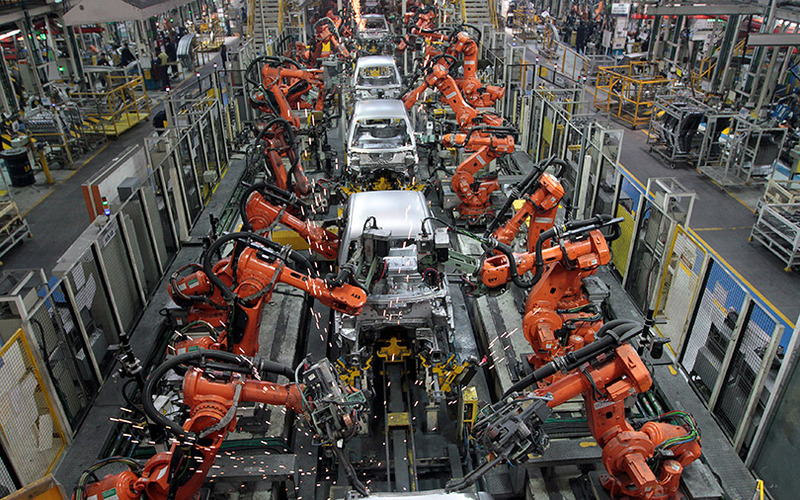 According to Indeed, the sector caters to more than a thousand robots annually. “As access to internet connectivity and open source platforms improves, a favourable environment for the sector’s growth and development is being created. Even as people fear that automation will take away jobs, robotics is creating new job opportunities for skilled resources,” said Sashi Kumar, managing director of Indeed, in the statement.